The computer keyboard cannot accommodate all keys and symbols and that is why some of these keys serve dual function. 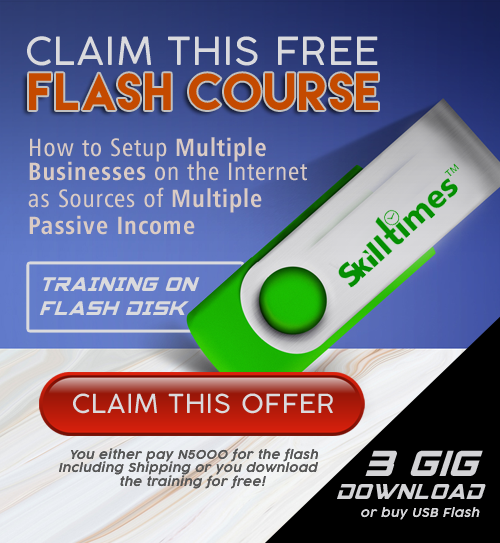 For example if you want to type the dollar symbol “$” you have to press the shift key plus the Number “4”. 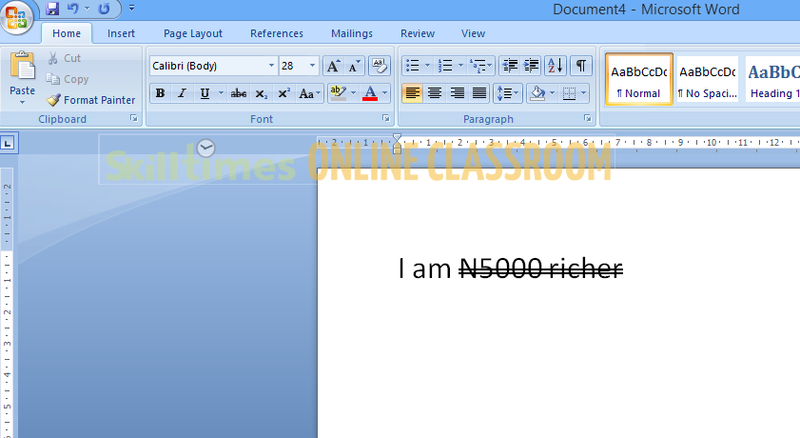 At the end of this tutorial, you will learn how to insert the Naira symbol in Microsoft Word. 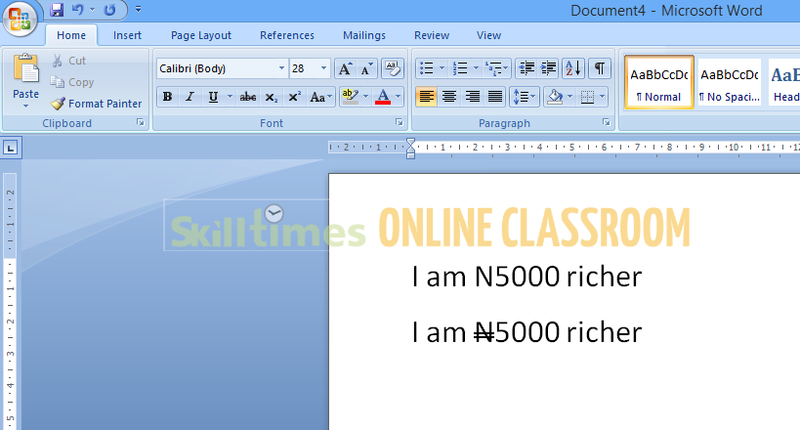 In short, you will be able to write the Naira sign as shown in the lower text in the image below. Highlight the letter “N” by clicking on the left side of letter N and dragging the mouse to the right side of the letter N. (It should shade the letter and look similar to the image below) Please not that this function will not work unless you highlight the text “Letter N” first. 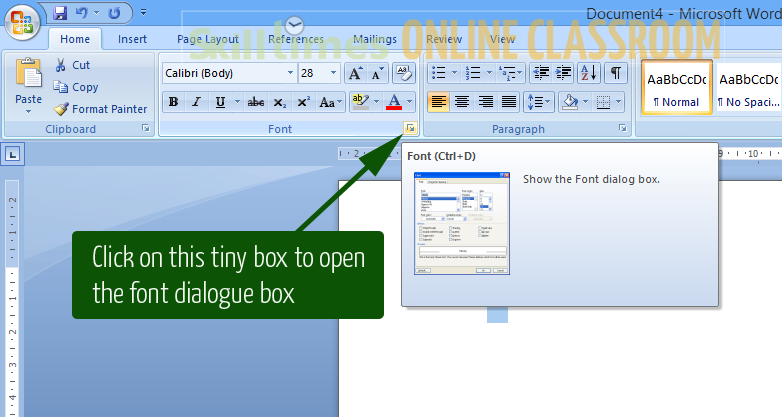 Click on the Font Modification Icon and wait for the font dialogue to open in the font dialogue box, you will be able to select more advanced options for your fonts. Warning! After using the double Strike through function, there is a possibility of having all other text typed having the double strikethrough. This usually happens when you don’t disable the double strike through after using. When this happens, it usually looks like the image below. 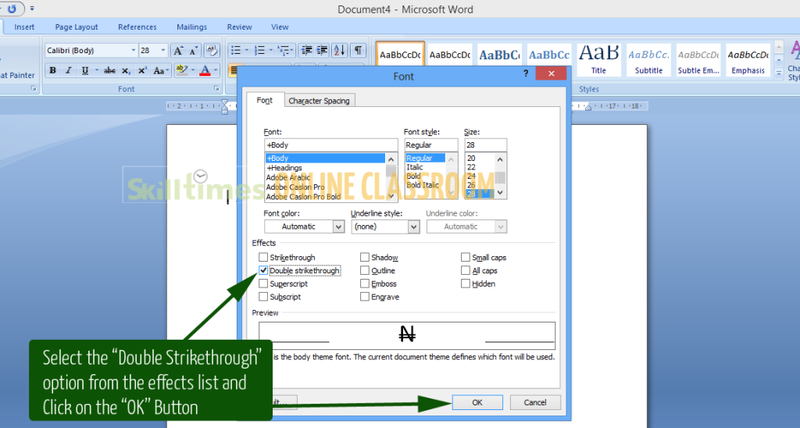 To disable the strikethrough and continue typing normal text, follow the steps below. 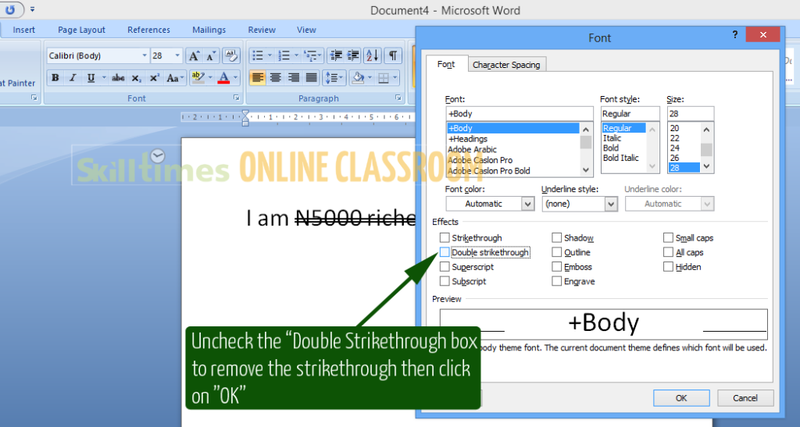 Highlight the text having the double strikethrough attribute except the “N” Naira symbol. Tip: Instead of following this process every time you want to include the naira sign, you can just copy the one you previously created and paste it at places where you want the naira symbol. So, try this and share your opinion about it on our blog. 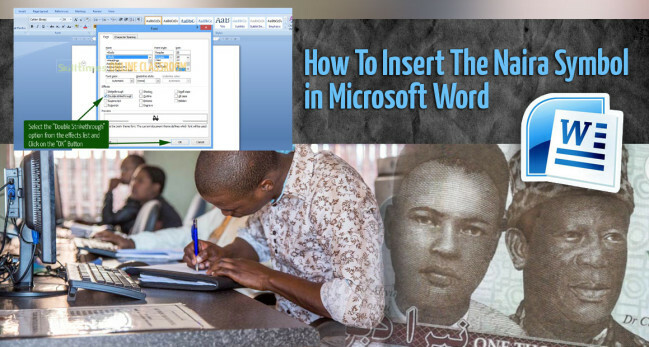 Is there any other thing you would like to do in Microsoft word but you are finding it difficult let me know because I might develop a tutorial for it as well.